With the broadest selection of healthcare products in the industry,Texas Access Controls makes a difference in the patient experience and hospital efficiency. 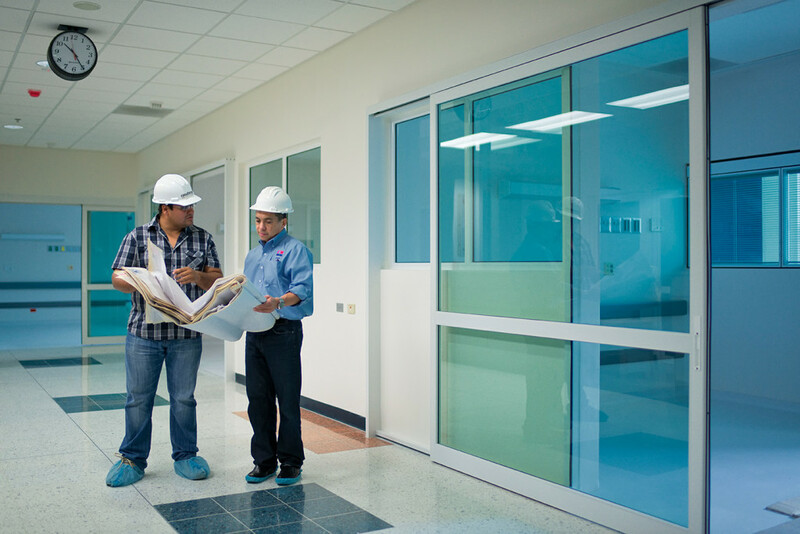 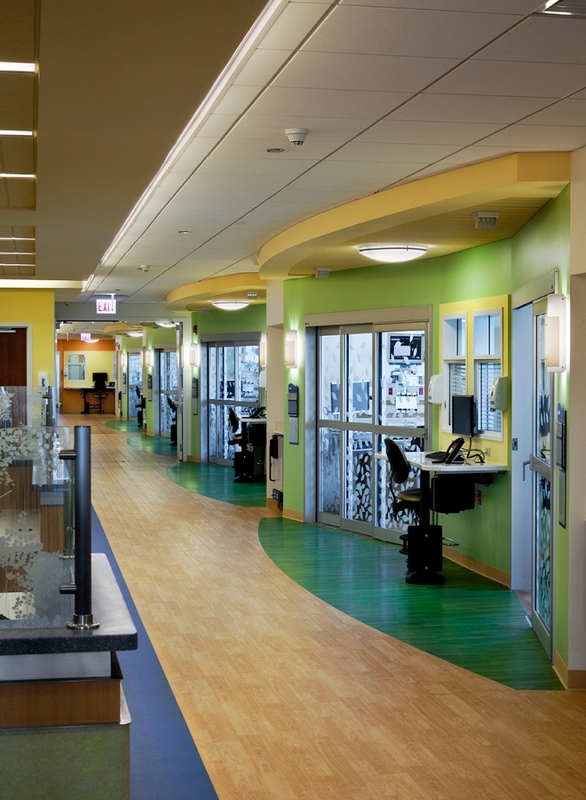 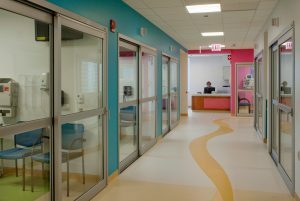 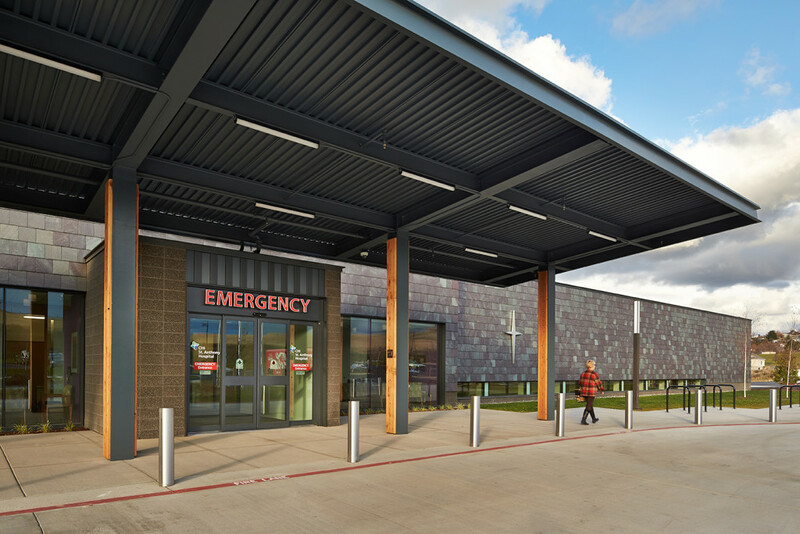 Hospitals and medical facilities have specialized access needs that drive the toughest building codes. 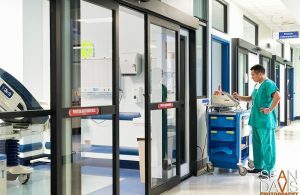 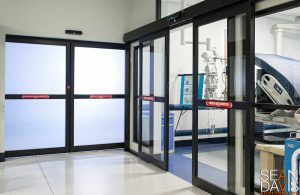 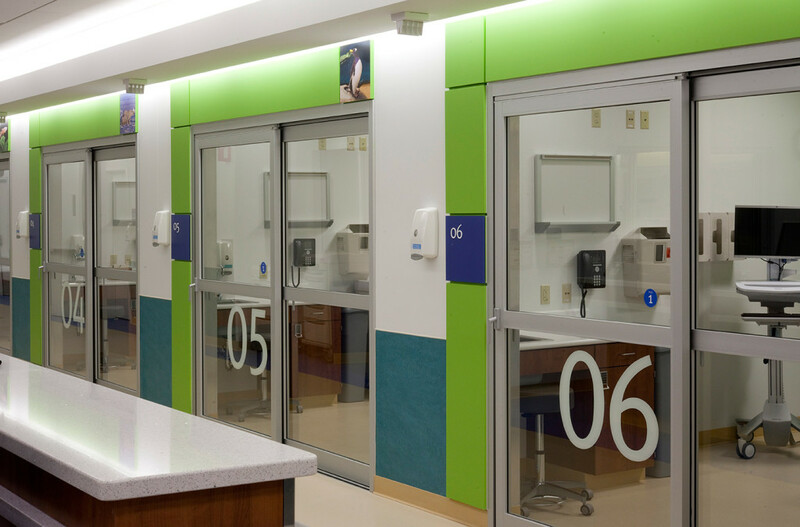 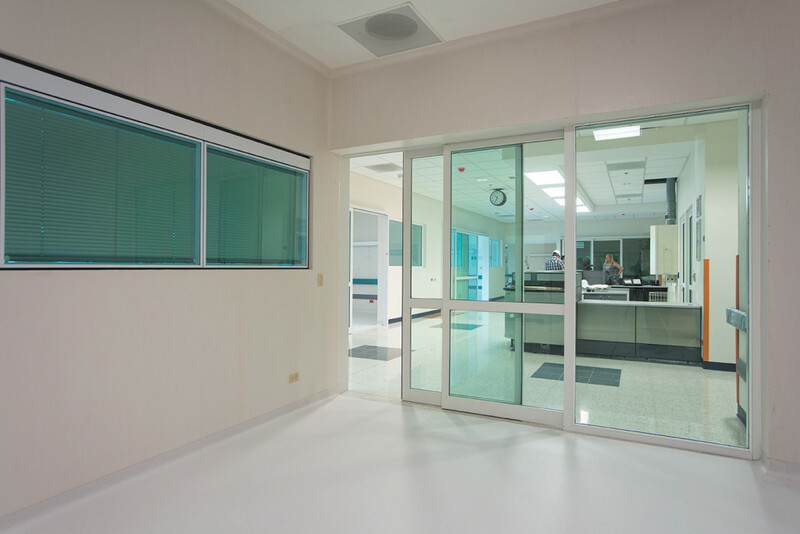 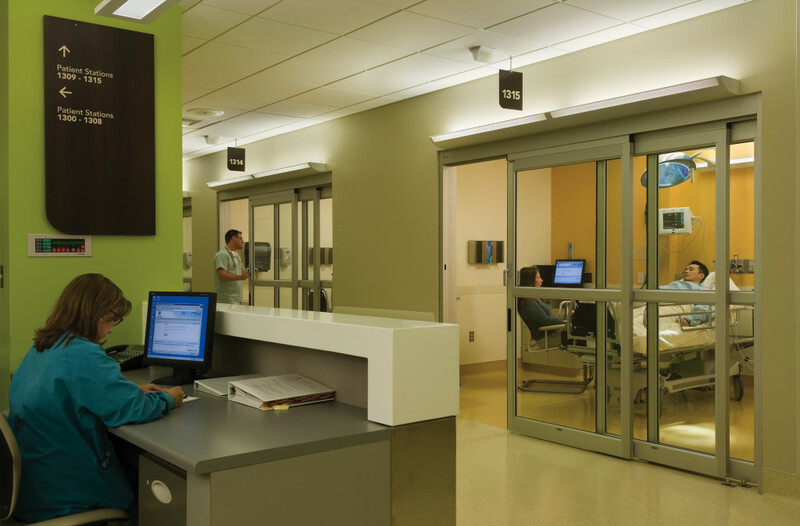 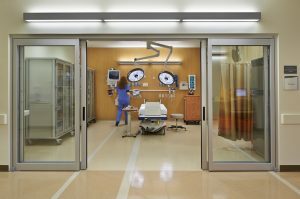 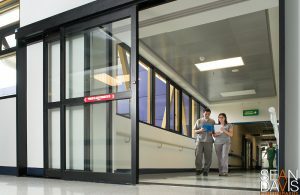 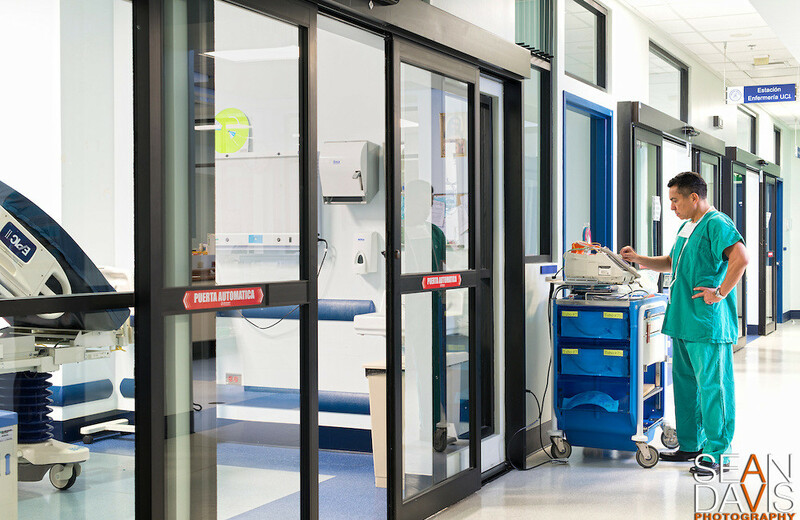 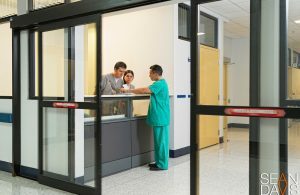 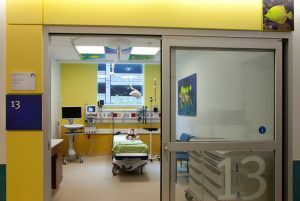 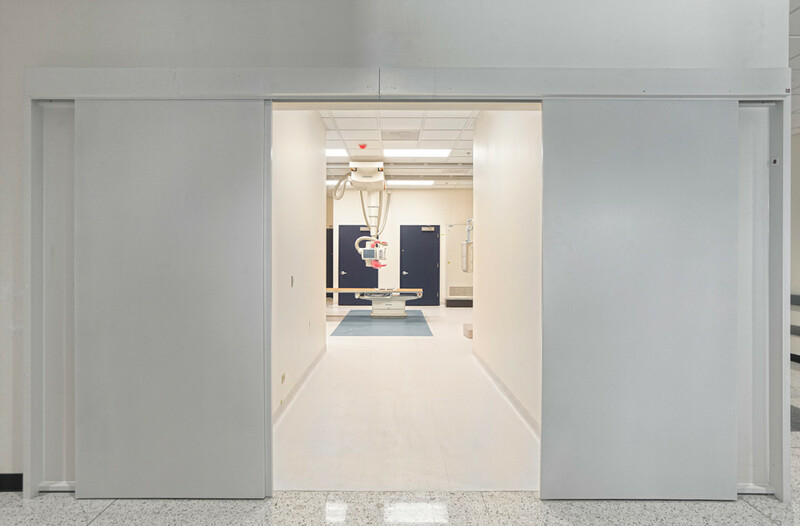 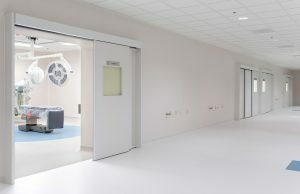 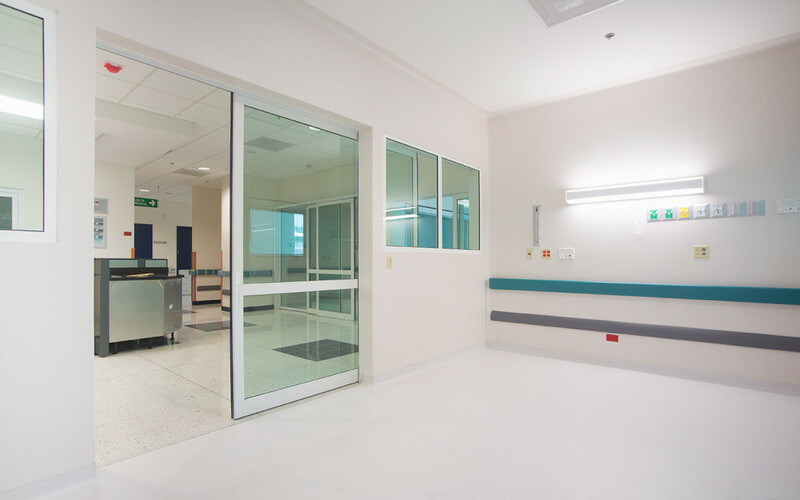 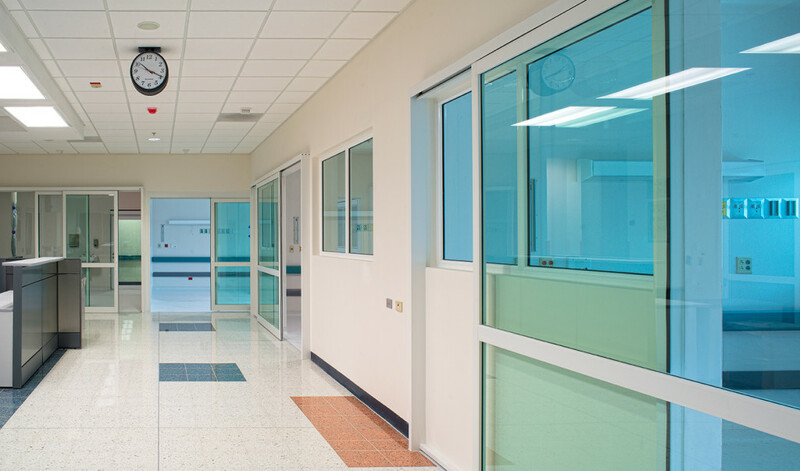 Horton continues to address these needs by developing first-to-market systems such as the self-closing smoke-rated ICU/CCU door systems and the first airborne infection isolation room door that requires no power. 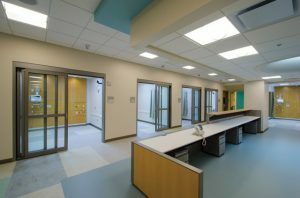 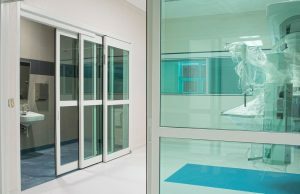 Staff as well as patients appreciate design details such as Mini-Blind and Opaque glass for privacy, light control and hygiene. 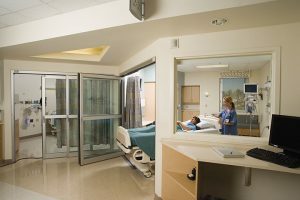 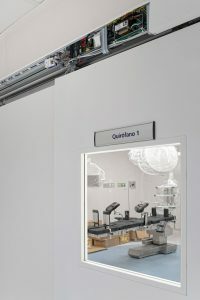 Larger openings for moving beds and equipment are also now possible with the smoke-rated telescoping door system. 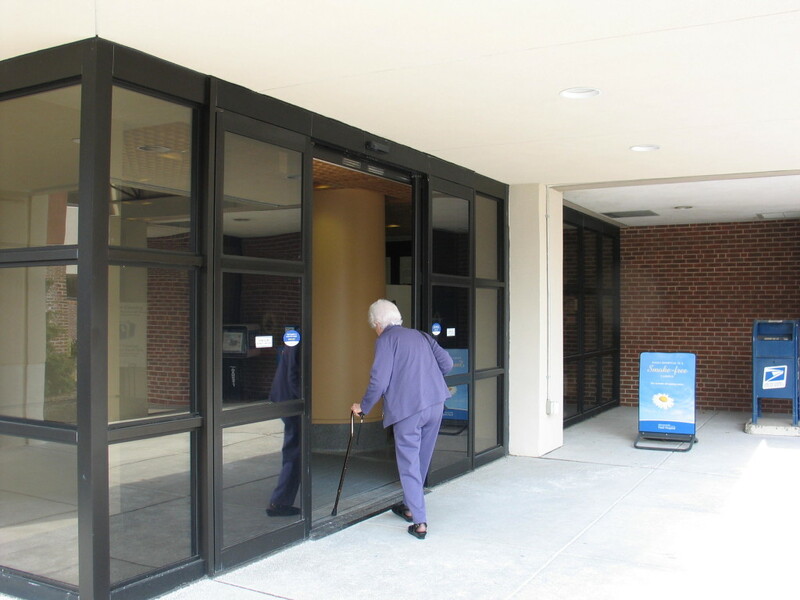 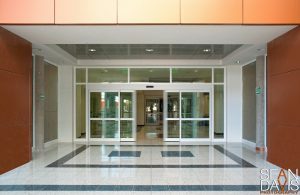 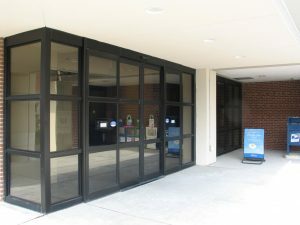 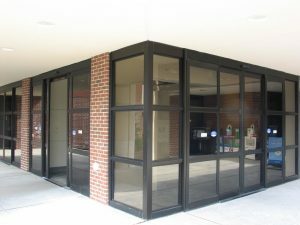 All around the facility, Texas Access Controls systems are creating Grand revolving door entrances, hard-working interior and exterior doorways in swing, slide or folding solutions, and even drive-up convenience with pharmacy windows. 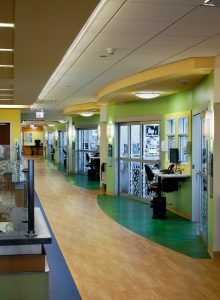 Unlimited custom configurations can be planned for any of these areas to differentiate your design. 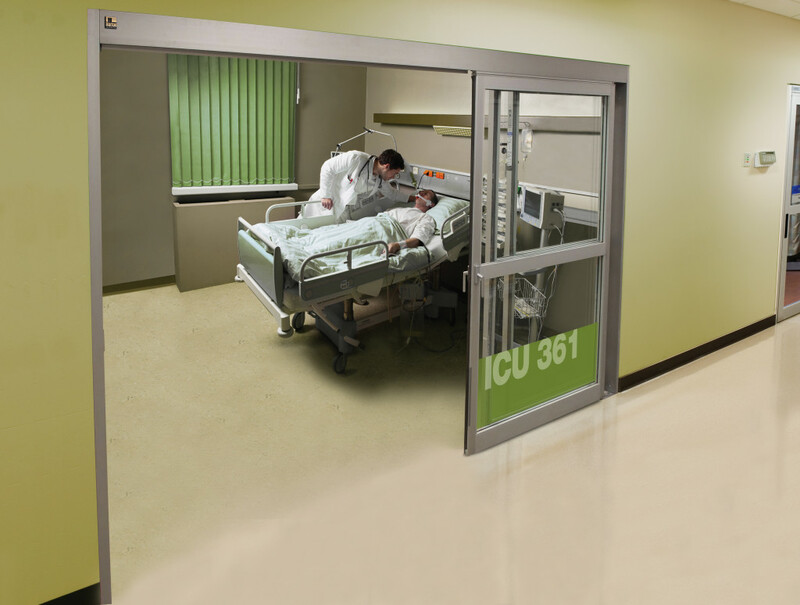 The Profiler®-ICU is available with standard and custom non-smoke rated configurations in single, bi-parting, and telescoping designs. These systems come standard with recessed pull handles or optional positive latching handles available and clear opening widths of up to 85″. 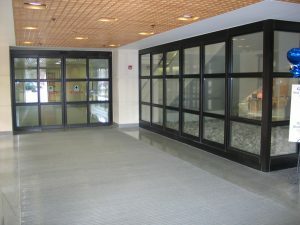 Standard and opaque glass for privacy at the flick of a switch is available. 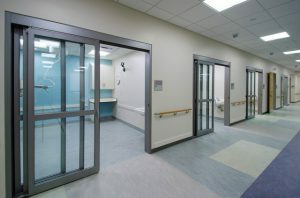 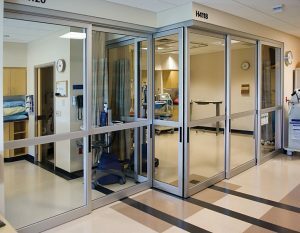 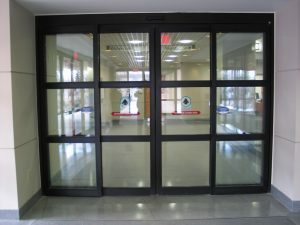 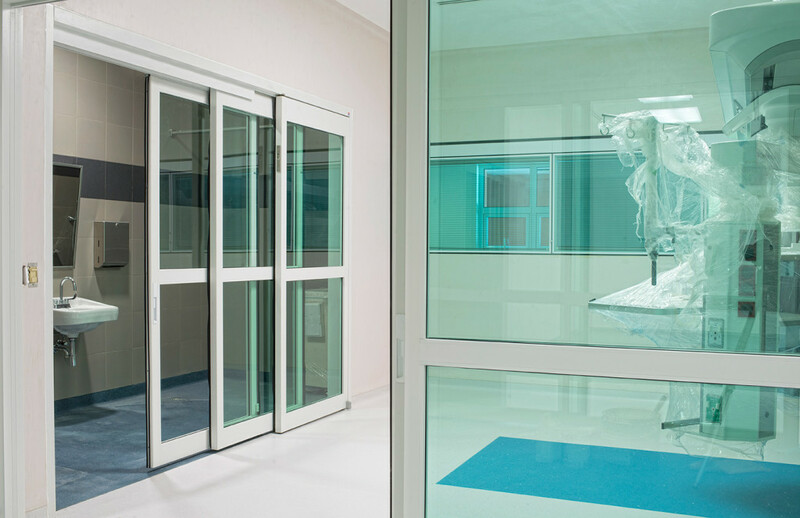 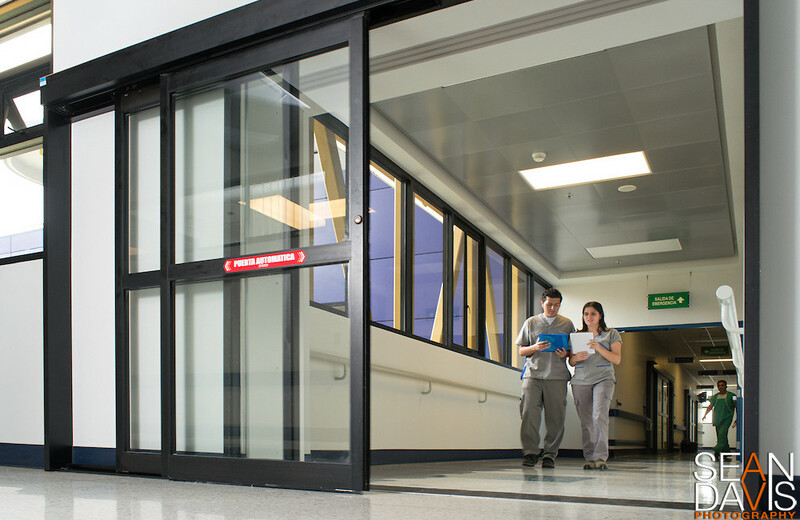 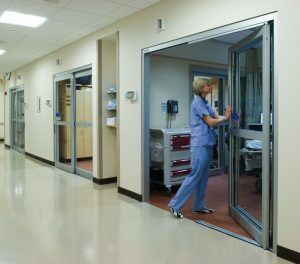 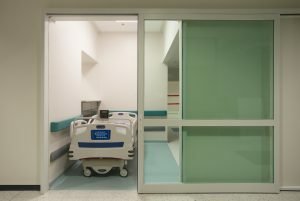 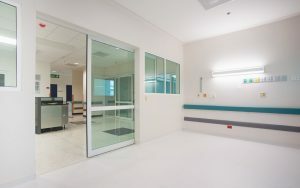 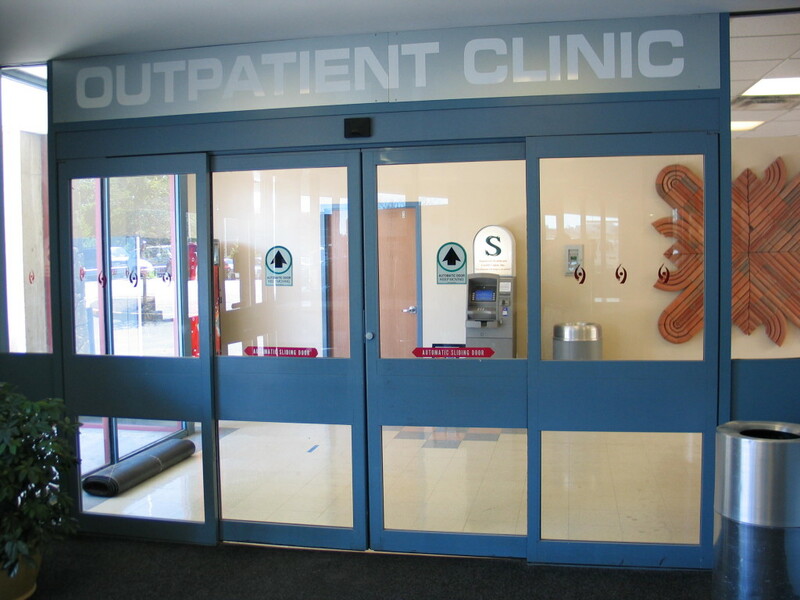 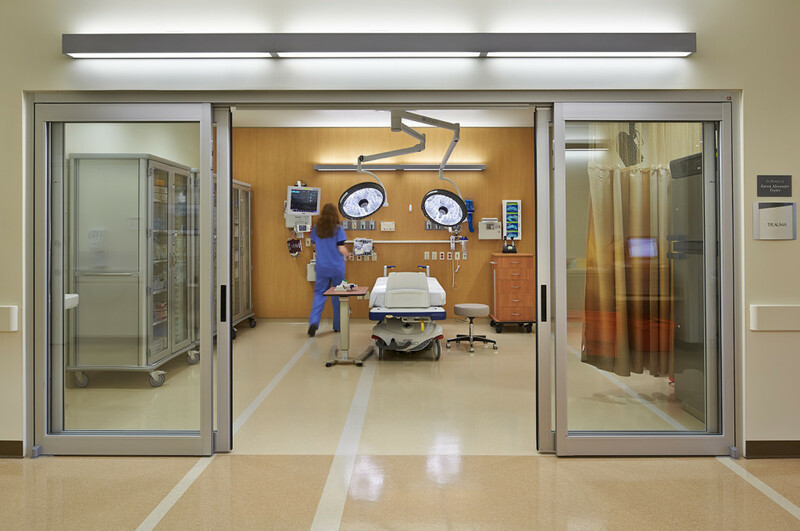 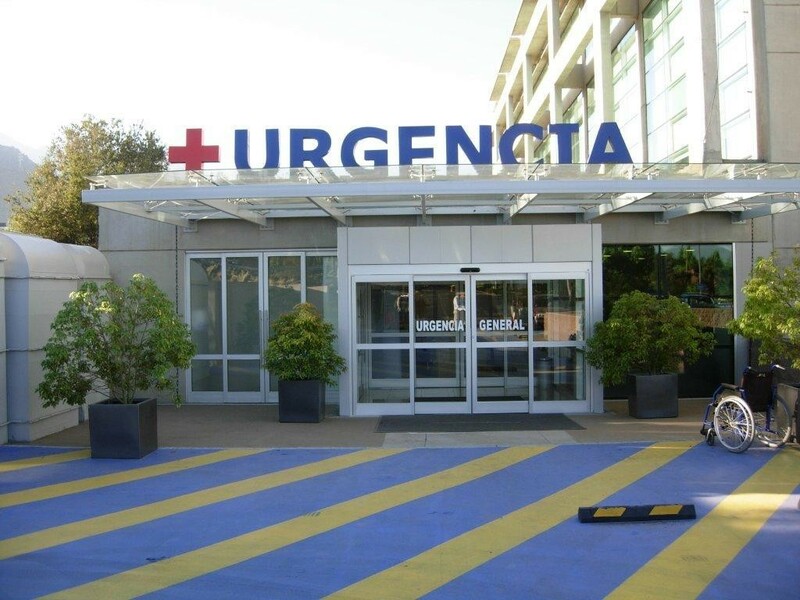 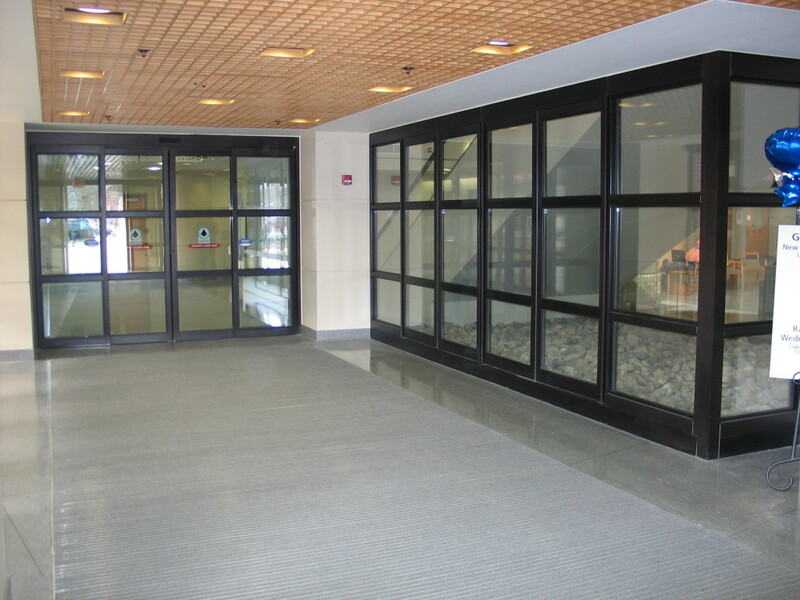 Doors designed for patient room and ICU applications. 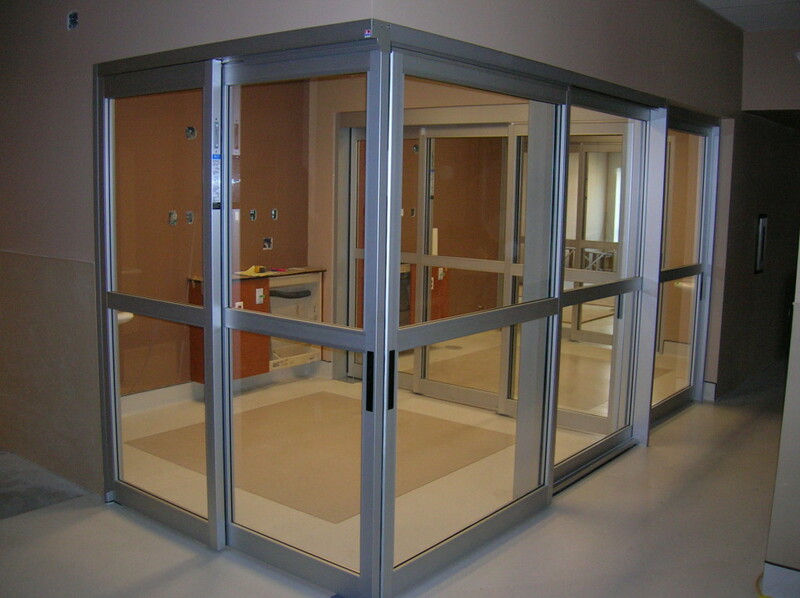 One of many unique benefits of these systems is the clear net openings of up to 61 3/4″ without the need to breakout. 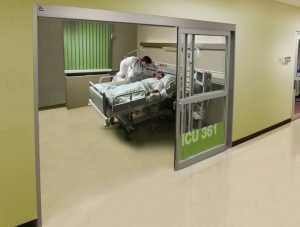 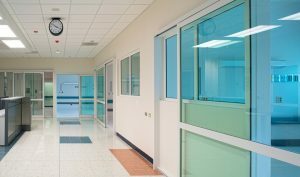 The Profiler-ICU smoke-rated corridor systems are available with or without positive latching and concealed high-temperature gaskets or brush designs. 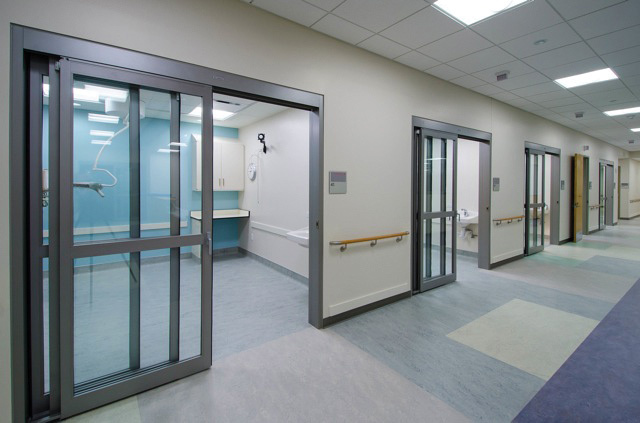 Designed where a hospital anteroom is required, the self-closing manual IDS is in compliance with the 2014 FGI (Facilities Guidelines Institute) guidelines for Airborne Isolation Infection Rooms (AIIR). Includes positive latching. Also, tested to ASTM E283-04 to meet negative, positive, or combination room pressure requirements. Designed where a hospital anteroom is required, the automatic 2000-IDS-2 is in compliance with the 2014 FGI (Facilities Guidelines Institute) guidelines for Airborne Isolation Infection Rooms (AIIR). 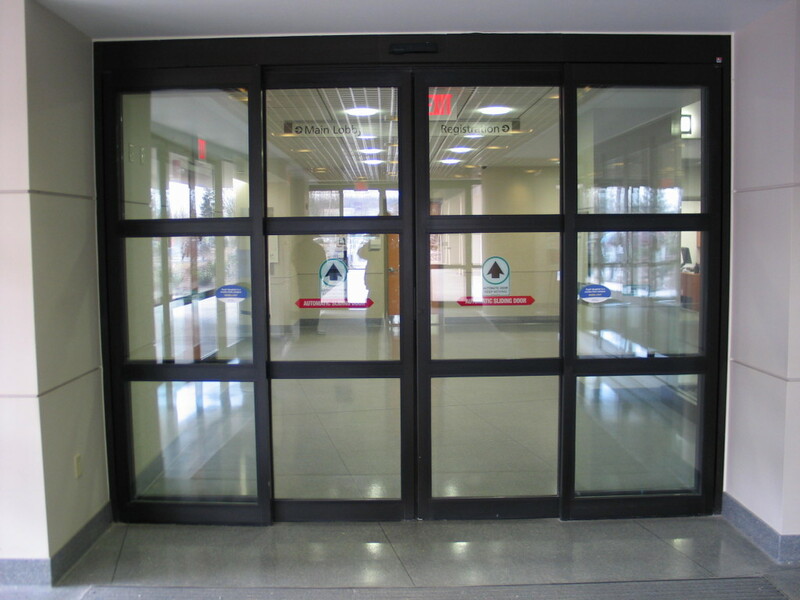 Includes touchless sensor or push plate activation with automatic self-closing and positive latching. 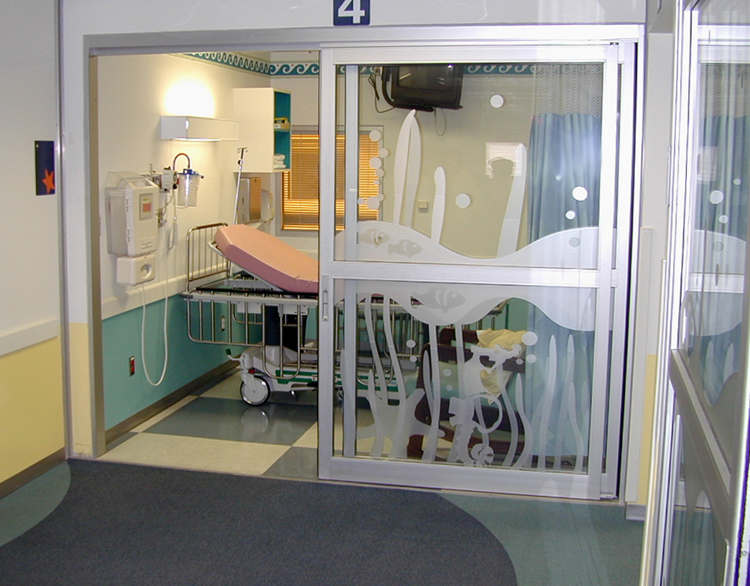 Also, tested to ASTM E283-04 to meet negative, positive, or combination room pressure requirements. 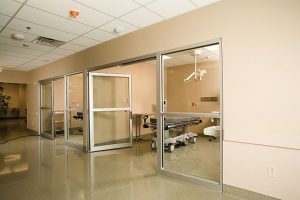 Texas Access Controls has developed a broad offering of manual sliding “barn door” configurations for the healthcare market. These products also have applications outside the healthcare universe, such as offices, laboratories, equipment rooms, etc. 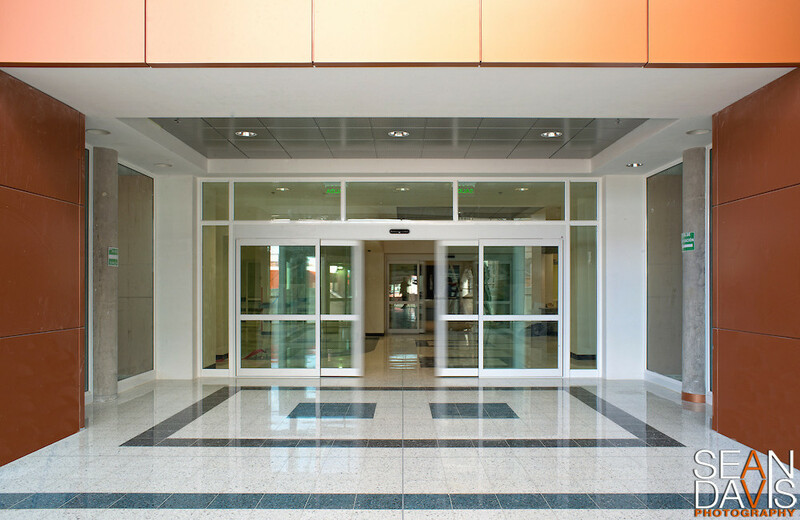 As with all Texas Access Controls products the engineering criteria addresses commercial quality, durability and building code compliances. 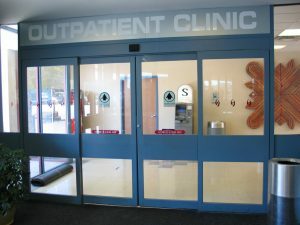 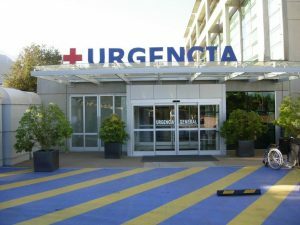 The typical healthcare applications are for patient rooms: sleeping, exam and toilet. 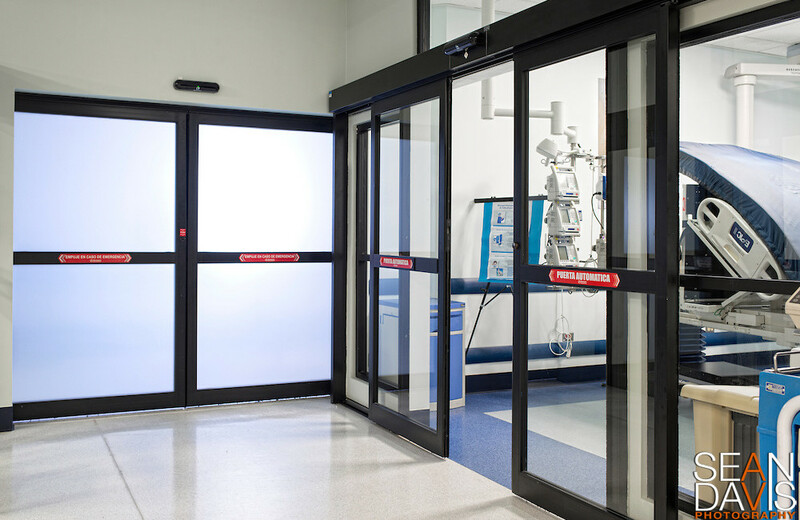 In addition, options and performance features can be added to the basic door system to address specialized needs, such as breakaway, self-closing, UL 1784 smoke infiltration, AIIR isolation, card access interface and more.